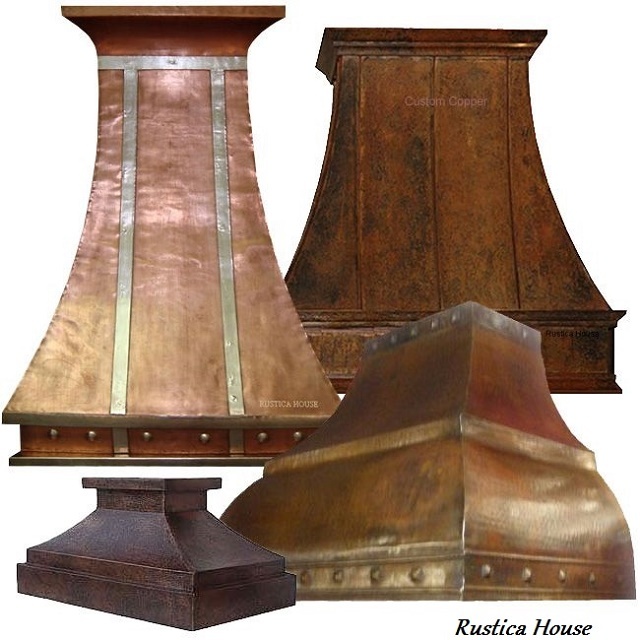 Click the button below to add the Copper Range Hood '0264' to your wish list. Kitchen without a Vent Hood made of copper doesn't look good, isn't it?. Hood '0264' decorated with rooster is offered in various sizes and color finishings. It can be made to accommodate any brand insert installation. Select US$200 custom work option if customization is required. This vent hood is available in coffee, honey, antique and natural finishings. The sample on the image was made in antique. It has a very elaborated hand made rooster pattern punched on the front wall. Delivery takes about four weeks to the US address. An optional 200CFM ventilator can be installed at extra cost.